€53.80+ Keeping it classy. A black and white themed build. MRW it finally came in the mail Its a god tier piece of hardware. Dishonored 2, Ultra settings across the board @ 2560x1600 on my pre 2005 Apple Cinema HD monitor (which is awesome), constant 75 fps and the card hits 60 degrees C on a busy level. I've never known power like this. 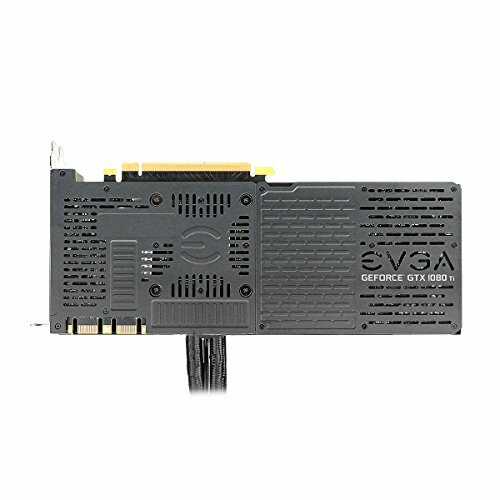 But really, EVGA did a bang up job on this. The build quality is high, the cooler is the same material as their 280mm CLC CPU cooler, and the fans (in the card and the stock fan on the 120mm radiator) are as a silent as the Prius under 5 mph (RIP Dwight Schrute). The fan on the radiator was also later replaced by a noctua redux 120mm PWM fan, and I saw another 2 degree improvement, but that might be because I plugged the fan into the MOBO and keep it running at 100% instead of having the card turn it on when it needs it (when booting up the machine and using it for low requirements use, the fan on the card doesnt even turn on - it only spins up when gaming which makes sense to me). 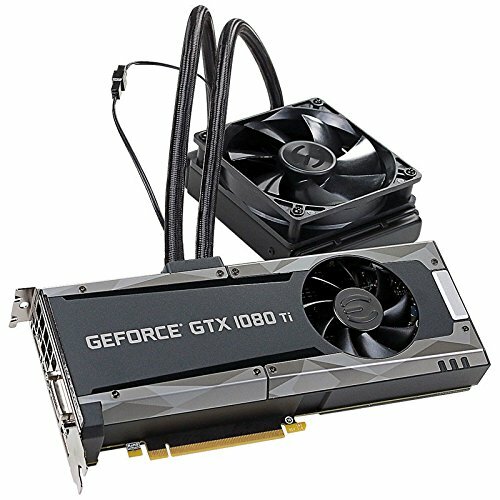 If you want to sink $800 into a gpu, this is it. Very powerful ! Coming from sli gtx970, the jump in performance is huge. Got 80-120 fps in surround triple monitor in most of my game, and for 1080p its ultra/120 fps steady (you have to limit fps or it will go crazy). The highest temp i saw to date is 52c and my overall system heat also drop, which is great. I replace the radiator fan with a Noctua NF-F12 cause i love silent computer, but the default fan is ok, just a little to loud for me. Runs cool, a little bit of coil wine and stiff. Great GPU. 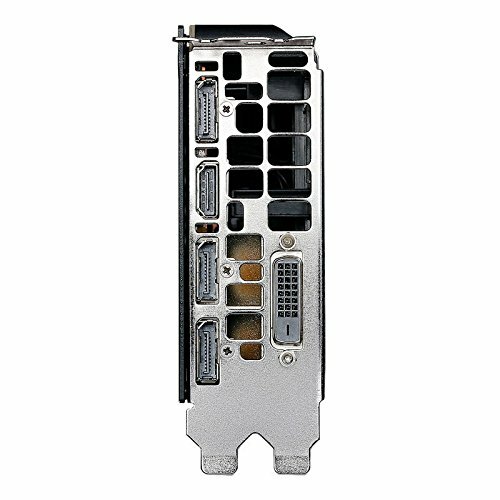 I love the AIO liquid cooler. For those who don't want to go all-out on a custom loop but still want the performance, this is a great option. I added Noctua 3000 RPM fans to increase airflow - awesome results. I was kind of skeptical about getting the hybrid cooled 1080ti, but I'm definitely glad that I did. Not only does it keep my 1080ti ice cold, but it seems to keep my entire system a little cooler than normal. This is the god of all gaming graphics cards. Runs amazingly and looks awesome. 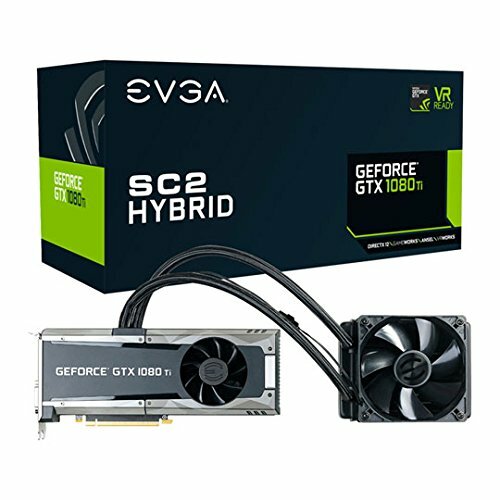 led just says evga hybrid, and to the right of it there is a sc2 text in yellow. the logo isn't rgb just white, which is still better than the fe cards. Runs quiet. Its an amazing GPU. Haven't really run any games that are GPU demanding yet. It's a founders pcb with icx sensors so thats good and the cooler keeps both the GPU and vram and power delivery cool so no issues here. Wish the lighting was rgb but I knew that upfront. 9975 GPU Score 3dmark Timespy. Just barely fits in my mini-ITX case. Runs smoothly, lightly overclocked. Got it after the disappointing 20xx series was announced. No complaints beyond seemingly low overclock headroom. Bought this thing when it was overpriced. Love it. Had a Hybrid card in the past, did it again without remorse. Have never seen temps over 54C.